We were Voted One of the Top "Painters Austin TX." Best Prices in Central Texas. 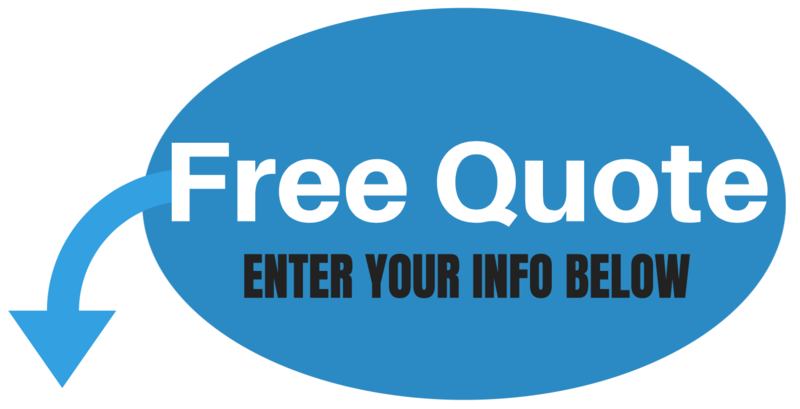 Email us to set up your free home estimate! Please enter your first name and last name in the name box, then your email in the email box, then your phone number in the phone number box. Then type a short description of the work you need done, and then press submit. We will contact you back very soon. Thanks, Austin Paint Pro. We aim to beautify your home inside and out. If your home's paint job is peeling, faded, flakey, or dirty, our team will power wash, scrape and prime all of the effected areas. We will replace all the damaged wood, trim or siding, plus fill all of the cracks and holes with 30 year caulking. After your home is ready, we will apply two coats of top of the line name brand professional paint. We make sure we put the proper amount so that it bonds to the surface for a long lasting paint job. If you are ready to see you home, rental property or office look like new again, then give Austin Paint Pro a call for everything you need with painting Austin TX. Voted #1 The Last Two Years For Painting Contractors Austin TX, "High End Painter with Affordable Pricing"
We want to make sure we provide the best quality work, and give our customers the lowest price. Our crews are very skilled and we always finish the job quickly and to the customers total satisfaction. We take pride in being the supreme painting contractor Austin TX can count on with every single job we undertake. Wether we are painting just one room for you, or your entire home inside and out, you can rest assured that we are going to approach the job with care, skill and total attention to detail. We start by giving you a fair and accurate free estimate, we help guide you through the color choice, and we apply test patches to make sure the color looks correct on your property. Then we quickly schedule the job to begin in a time frame that works for you. Rest assured we only use the absolute top of the line paint products from professional paint contractor supply stores. An Austin Painter you can trust! ​If it is an exterior paint job, we start by power washing, and prepping the siding and trim through, sanding, scraping, caulking, driving loose nails back into place. If it's interior painting we are doing, we will make sure to cover, tape and plastic off all floors, furniture and belongings. For exterior jobs, we then spend time taping off windows and protecting your stone, brick and plants before we start any painting. We first start by priming all raw wood and scrapped areas to seal them up and provide proper bonding for the top coats. Then, it is time for spraying using a precision airless paint sprayer that allows us to apply the maximum amount of paint for creating a solid first coat. We follow that with a second coat that helps provide many years of beauty and protection to your home. We won't leave until you are 100% satisfied with our work. We are not happy until you are happy. ​We are the painter Austin has relied on for all their painting needs. If you are seeking house painting, then you need to give us call today and let us get you are free estimate and schedule a time to start your painting project. We know you have a lot of choices for painting contractors Austin TX, but we know you will not be disappointed in the service we provide. Our house painting service is reliable, we are fast, and we work with laser precision. The painting materials we use are top of the line, with professional relationships with Sherman Williams, Benjamin Moore, and Kelly Moore paint supply companies. You can rest assured that all of our interior and exterior paint jobs, as long as staining and trimming work are all done using these top of the line cameral grade paints and stains and applied using the most professional techniques. We have painted thousands of houses in central Texas, and have thousands of satisfied customers who love the look and color of their new paint job. We pride ourselves on making your home look beautiful and all the colors blend together in a synergistic way. We apply multiply coats of top quality paint to achieve a perfect smooth look to your walls and trim work. We paint doors with the perfect sheen of paint that you choose. Whether you want the look of your paint to be flat, eggshell, semi gloss, satin, of high gloss, we know how to apply it so that if achieves the optimal look for your property. If you need siding replaced, trim work repaired, or sheetrock and drywall repaired we have you covered. We tape and float, texture walls and paint all surfaces. If you need staining done, we can help you choose the best product and color to make your wood look beautiful. We have studied design and have an eye for color. Depending on your property and the surroundings, we can help you pinpoint the most effective color to accent your property and allow it to bring our the best features of your home or property. When you are looking to start a new painting project, always remember to find a painting contractor who has enough experience and education in color palettes and accent design. There are only a few painters Austin TX can depend on to provide this level of service. Austin Paint Pro has always prided ourselves on being the top choice for residential painting in all the ATX area. Check out one of our partner businesses for the best Tree Service Austin has to offer, with over 20 years experience, Austin Tree Service has served the Central Texas area with reliable tree trimming, tree removal and the most trusted tree service in Austin TX. If you have decided it’s time to get the exterior of your house painted, then you need to start thinking about colors. When picking a color for your property you will want to think about the surroundings and the style you are going for. Most homes are painted with two colors, a main body color, and then a trip color. Sometimes a third color will be chosen to accent the exterior side of the doors. Once a color has been picked, your paint crew will begin by pressure washing the exterior of the home. This is important to remove dirt, grime, old chalking, and peeling paint. Once the home is washed the crew will usually begin caulking the home. All of the cracks, seams, and nail holes will be caulked and filled with the appropriate putty. Priming will begin next. Any exposed raw wood, replaces siding or trim, or scraped off areas will receive a cost of primer to help seal the wood and allow the finish paint to bond better. Once the house has been washed, primed and caulked, its time to spay the body of the house with the main color. Usually the paint contractor crew will mask off windows and and brick or stone, do as to keep them clean from over spray. A good skilled paint spaying specialist will be able to about these areas and control the overspray. Once the siding of the home is sprayed, the crew will immediately start to remove the tape, plastic and paper masking, and start cutting in the body color. This is where they brush paint that color right up to the trim wherever they were unable to spray. The final step is to brush and apply the trim color to the facia boards, Sid trim around windows and doors where desired and determined by the homeowner. The crew chief will do a final walk around the property and make sure nothing was missed and that everything looks satisfactory to the property owner. When you are looking to restyle your home or office, one of the quickest interior or exterior design changes you can make, is to change the color scheme of the room. By simple changing or altering the color to a darker or lighter shade, you can totally change the feeling and energy of a room. So think about what type of feeling you would like the room to give you, this will help guid you in your color decision. Have fun with the color choice of your new repainted room, allow yourself to experiment and find the exact shade that makes you feel the way you design in the space. Remember you can always change the color if you grow tired of it. Our Crews have more experience. Our painting team has decades of experience in interior and exterior paint. Most of our crew has delicately worked for us for many years. We treat them well and they enjoy being part of our team and family of painters. When we hire new crew members, we train them in all areas, including brush work, prep work, protecting and masking the property so that paint or overstay never gets on areas where it does not belong. We make sure our employees are honest, trustworthy, and have the skills to wow you with their work. They do their job quickly and professionally, with obvious skill and precision. They understand how to use the tools and what products work the best for all areas of the paint project. Experience the difference of a skilled professional crew next time you need a room painted or an entire home of office building. You will then understand why we are constantly the top painting company in all of the Central Texas area.